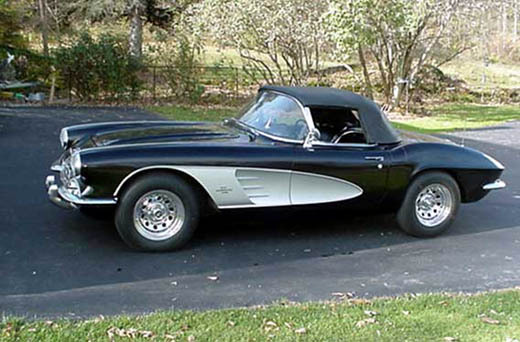 The 1961 Corvette had a new rear end styling and the first model with a four taillight look that became a Corvette tradition. It was also the last model to feature optional two-tone side cover paint and the 283 CID engine. It was also the first model with exhausts exits below the body and a radiator expansion tank.